Book Fair – The book fair was a success! Students, teachers and families enjoyed the variety of books, games and stationary items available. Congratulations to Salvatore R. in Ms. Serrani’s class, who was the winner of the Scholastic Book Fair Draw! Thank you to all of our families for supporting and encouraging a love of literacy. Buck-a-Book Sale – The Buck-A-Book Sale will continue in December. 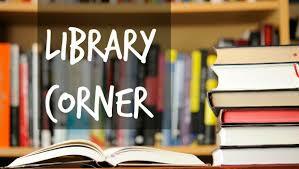 Students may bring in money, to purchase a book, during their scheduled library time. Thank-you for your continued support. All monies are used to purchase new library books. Vaughan Public Library Visit – On Wednesday, December 5, representatives from The Vaughan Public Library will visit our Library to work with our FI Grades 3 to 6 classes and our BT English Grade 6 classes. For our FI classes, the presentations will be in French. Each class session consists of a 10 – 15 minute talk and a 30 minute exploration and interaction program exploring both Gadgets and Technology. Students will have the chance to interact with a number of devices, including: Ozobot Light Sensing Robots; Osmo Coding; Augmented Reality Colouring Sheets; DropMix Music Mixing; Snap Circuits; and our 3D Printer.